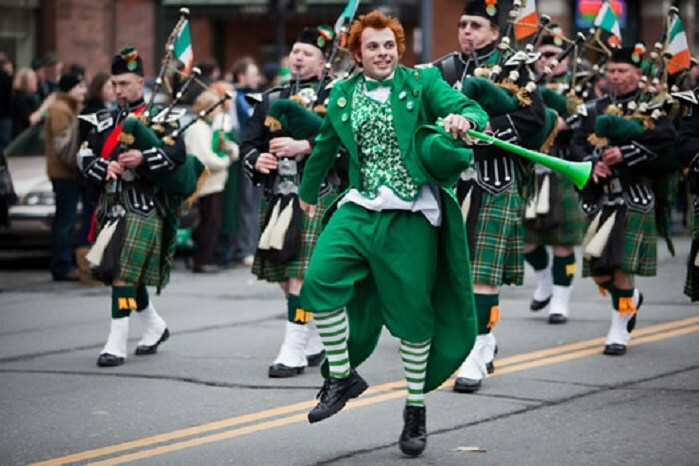 As the season of Saint Patrick approaches, here is a list of parades in the New York City area where you can get your Irish on! Starts on Mulberry St. near the Prudential Center, goes past Four Gateway Center, NJPAC, Military Park, St. Patrick’s Pro-Cathedral, the Newark Museum, and Washington Park. Starts at Washington Ave. and Clarke St., goes south on Washington, which becomes Brentwood Rd., and ends at Ross Park on Brentwood Rd. Starts at 15th St. & Prospect Park West, goes down 15th St. to 7th Ave., along 7th Ave. to Garfield Pl., up Garfield Pl. to Prospect Park West, and along Prospect Park West to 15th St. The parade starts at Forest Ave., north of Dosoris Lane, moves around the Finley Middle School south of Dosoris Lane, then follows Brewster St. to School St. into Glen St. ending at St. Patrick’s Church, at the corner of Glen St. & Pearsall Ave.
Starts on South Pine Ave. at Portia St., heads to Bordentown Ave. to South Stevens, to Main St., to Broadway, ending at George St.
immediately followed by the parade, which starts at Rt. 112 & Main St. and goes west to West. Ave. Parade starts on Maple Ave. at Long Beach Road, marching west on Maple past St. Agnes Cathedral, ending on N. Village Ave.
Starts at Huddy Park and goes along a one-mile stretch of Bay Ave.
over West Fourth St. and continue on Maple Place to Broad St. where it will then head down to West Front St., ending at Fireman’s Park across from Keyport Fishery. The Parade runs up Edgemere Road, turns on to Main St. and finishes at the end of Main St. Stepping off at Whitney Ave. & Gerritsen Ave. and ending at FF Larry Vehling field – Gerritsen Ave. & Seba Ave.
Next Jim Shaffer’s “Hook It & Cook It: Fishing, Dishing and Reminiscing”. With more than 50 recipes!